Mildred Germaine “Gerry” Fenton of Huntington, WV, formerly of Nutter Fort, WV, wife of Corbin B. Fenton, went to be with the Lord on Monday, November 5, 2018. She was born on December 9, 1938, a daughter of the late Charles M. Villers and Mildred E. Villers. Gerry was a homemaker a member of New Life Church, served as one of the Greeters. Preceding her in death was son Robert Blair Fenton, her sisters, Betty Hughes and Gloria Hampton, brothers, Gary Hovatter and Ronald Hovatter. 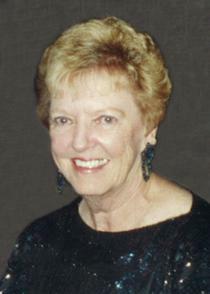 In addition to her husband, she is survived by her sons, Charles Bradford (Adelina) Fenton of Louisville, KY, Brian Marshall Fenton of Huntington, WV; her most precious grandchildren, William B. Fenton, Bradford Fenton, Rachael Fenton, Matthew Fenton, Caleb Fenton, Alexis Bowe, Bria McKee; great-grandchildren, Adalyn McKee and Caleb Adkins; brothers, William (Pat) Hovatter, Leon (Nancy) Hovatter, Richard Hovatter, and James “Jim” (Cloe)Taylor; sisters, Alice (Ed) Spellman and Kay Unger, Dianne Hovatter; and several nieces and nephews. Visitation will be from 5 to 8 p.m. Thursday at the Wallace Funeral Home Barboursville. Funeral services will be conducted at 3 p.m. Friday, November 9, 2018 at the Wallace Funeral Home & Chapel, Barboursville, by Pastor Josh Huffman. Graveside services will be conducted at 12 p.m. Saturday, November 10, 2018 at Floral Hills Memory Gardens, Quiet Dell, WV. Memorial contributions may be made to New Life Church. Online condolences may be expressed to the family at www.timeformemory.com/wallace. There are currently 12 condolences. We both lived on Ohio Avenue, but I have not seen her for more than 60 years. However, I will always remember her quick laughter and gentle heart. We both lived on Ohio Avenue, but I haven't seen her for more than 60 years. However, I will always remember her quick laughter and gentle heart. Brad and Brian, I am so sorry for your loss,my thoughts and prayers are with you both. ?? I am so saddened by this. I will miss Aunt Gerry, as I'm sure others will too. She was always so delightful & fun to be around. She was a real blessing to every life she touched. God bless her & Corbin & all their family. Love & peace to all. ? Our prayers are that God will comfort you as only He can. Gerry was our back door neighbor in the old days in Nutter Fort. I have so many good memories of her and Bud and Mildred. Aunt Gerry was a wonderful lady and she will be dearly missed. Prayers for Uncle Corbin and the family. So very sorry. May you RIP. Gerry So sorry for your loss Corbin and family Gerry always had a smile on her face.